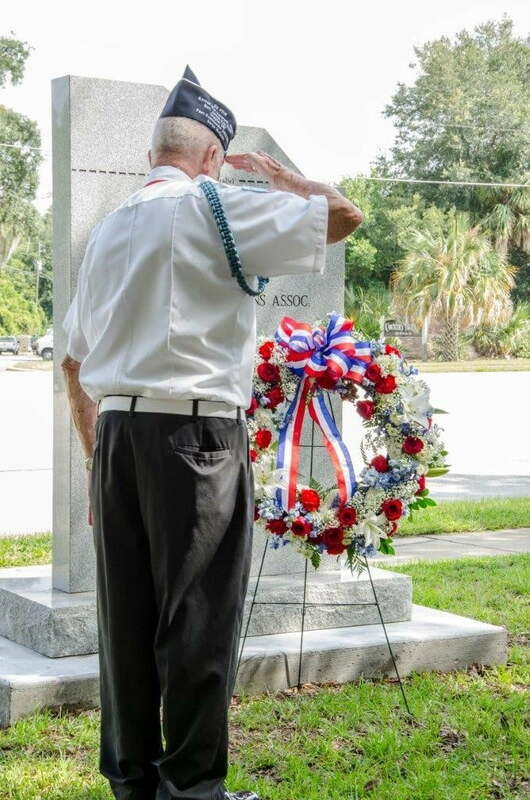 Our local K-9 Memorial Committee held its first annual K-9 Law Enforcement Appreciation Banquet on July 18 at the American Legion Post in Gainesville. K-9 handlers from GPD, ASO, UF, Cities of Alachua and High Springs Police Departments attended and were recognized and honored at the banquet. Each law enforcement officer received a plaque and photo along with numerous gift certificates from sponsoring merchants. Each K-9 received a “doggie gift bag” containing play toys and treats. Over 80 citizens showed up to show appreciation to these officers while enjoying a prime rib dinner along with an open bar. With a parking lot filled with law enforcement vehicles the open bar had limited participation but everyone enjoyed themselves and made new friends. Forest Meadows was one of the major sponsors making this first annual event a huge success. 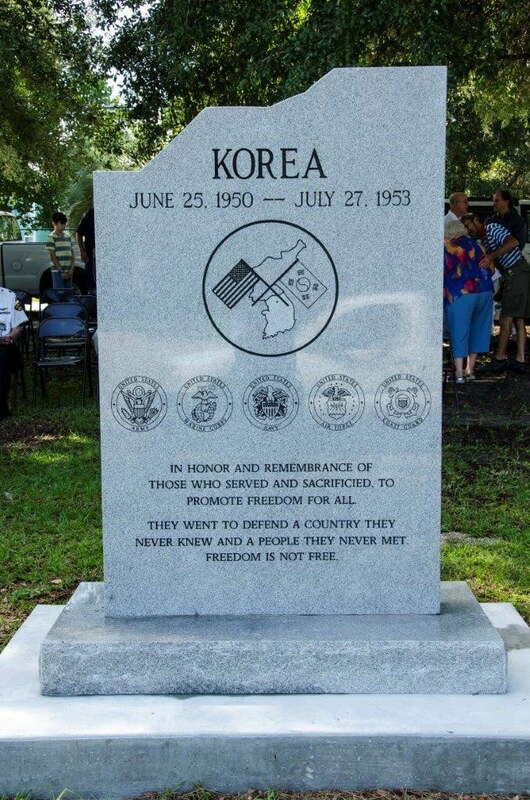 On July 27 Korean War Veterans Association, General Van Fleet Chapter 267, dedicated a new Korean War Veterans Memorial on Archer Road near the VA Hospital. This dedication came on the 62 anniversary of the end of that war (June 1950 thru July 1953). Forest Meadows veteran’s representative Jim Lynch hosted the event attended by numerous local politicians and patriotic citizens. Pastor Min Seok Sohn started the ceremony with an inspiring invocation followed by Chapter 267 Honor Guard presenting our nations colors. Brig General Paul Albritton led the pledge while Ms Brittany Roughton sang the national anthem. After recognizing VIP’s and welcoming everyone to the dedication Jim Lynch introduced the guest of honor Mr. Eddie Ko. Mr Ko was 14 at the time of the start of the Korean War and volunteered to become a spy for American forces. He operated behind enemy lines acting like a typical wide-eyed teenager asking silly questions about rifles, firepower and location of troops. All the while he was taking mental notes and then relayed that information to American intelligence officers. Mr. Ko significantly contributed to the success of the wars outcome and has been recognized by both Korean and American Governments for his heroic service. 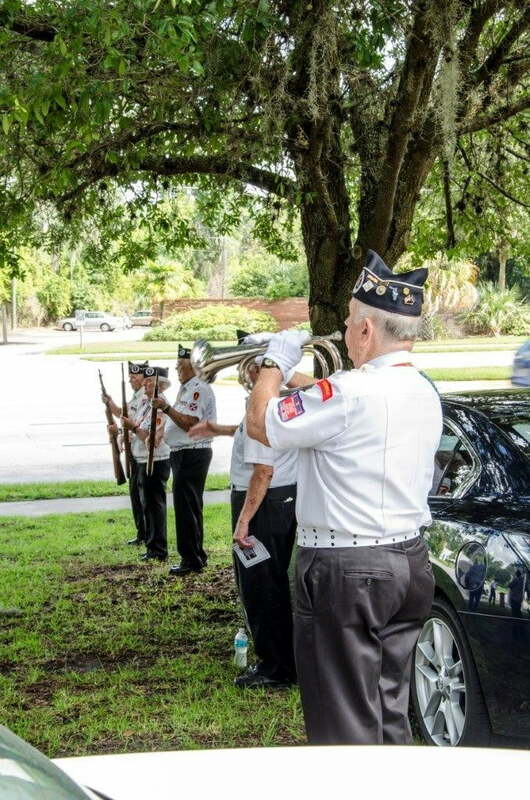 Plans are already underway to celebrate Veterans Day on November 11 and Wreath Across American Program in December. 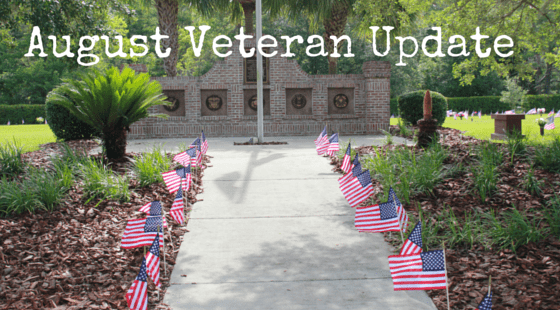 Forest Meadows continues to support our veteran community and if you have any questions about VA benefits or burial eligibility give Jim Lynch a call at 352-538-3119. 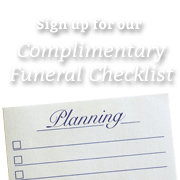 The cemetery staff maintains a list of Veterans Service Organization units that may be contacted by the Funeral Home or Next of Kin to arrange a military honor group in addition to or in lieu of the Department of Defense Military Funeral Honors.